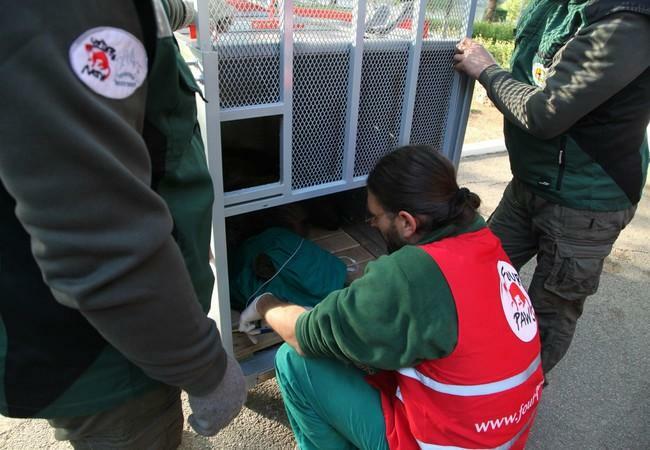 In December 2016, FOUR PAWS received an urgent request for help from the Albanian Veterinary Inspectorate. 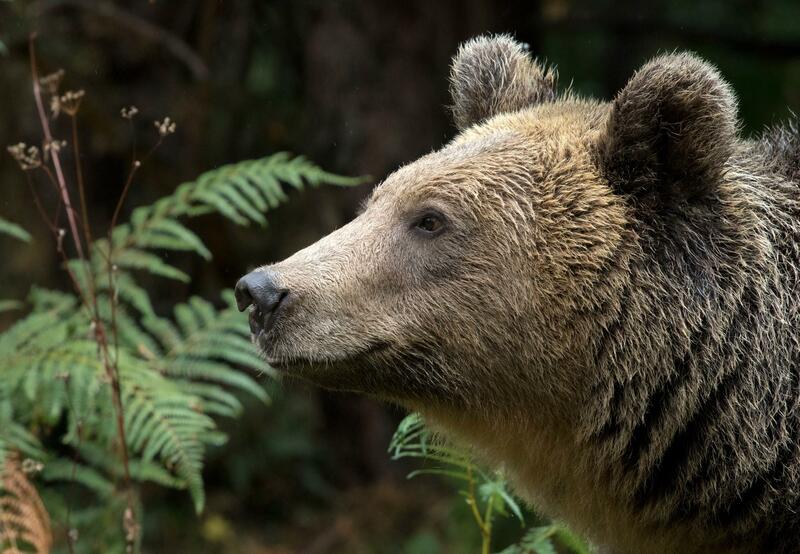 In a small mountain village, a young bear was said to be in imminent danger. The owner was no longer willing nor able to care for the animal. 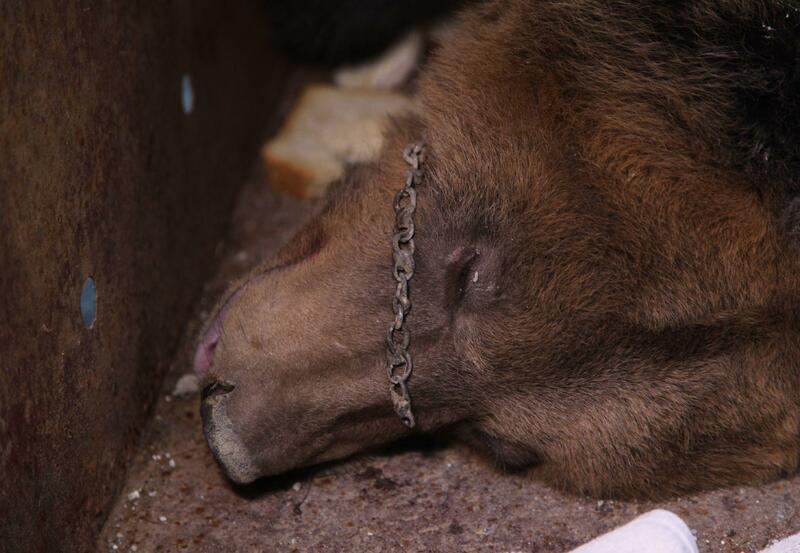 When the FOUR PAWS team arrived, they found the bear chained in a small shack next to the owner’s house. He was very distressed, and in panic was trying to free himself from the tight chain. 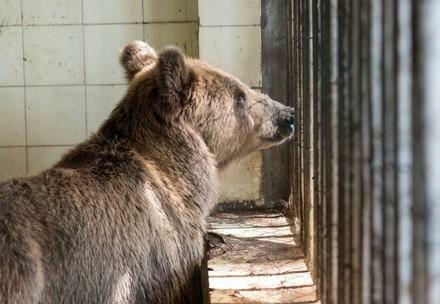 FOUR PAWS acted immediately and contacted Tirana Zoo, which was willing to take over the bear temporarily. 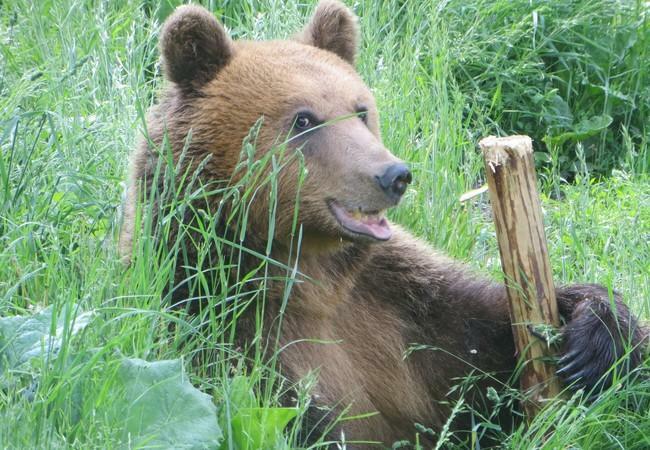 Riku, whose young life has been marked by suffering, was safely transferred on 3 May 2017 by a FOUR PAWS team to DANCING BEARS PARK Belitsa, run by FOUR PAWS in cooperation with Fondation Brigitte Bardot. Due to international transport regulations, the journey went via Macedonia and Greece. 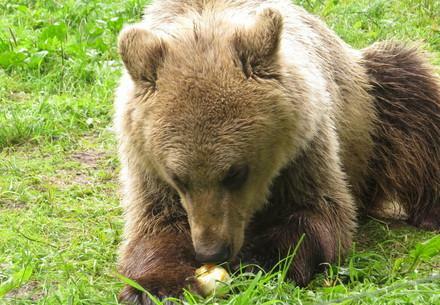 This meant many hours on the road for one of Europe’s saddest bears and the FOUR PAWS team. Finally, they arrived at Riku's new home in Bulgaria. Watch Riku's emotional journey and see how content he is with his new lifelong home! Before we rescued Riku, he had spent years in chains locked in a small room. He had never lived with other bears. Now this has changed. For some time, our animal caretakers kept a watchful eye on him and Gabriela, who used to live in a Bulgarian circus. Their enclosures were situated next to each other and so the team decided to socialise them. The move was successful and we are delighted that the bears will now spend their lives together. There are still bears out there who need our help!